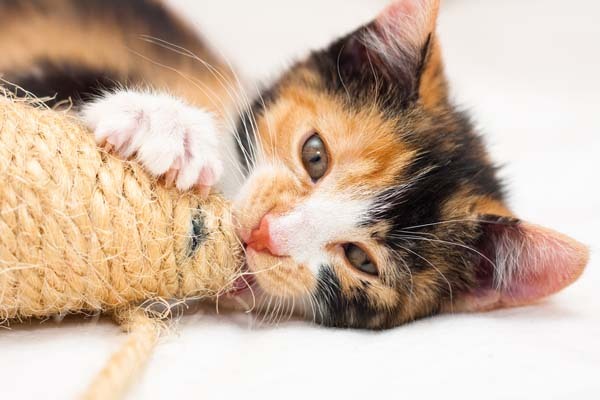 Next on The Scoop: Kitten Suckling — Is It a Bad Thing? First, what is cat dandruff? What is cat dandruff and is it something to worry about? Photography ©Aksenovko | Thinkstock. Given that veterinary medicine even has a term to describe freckles in ginger cats — lentigo simplex — it should not surprise the reader that veterinary medicine has a term to describe severe dandruff: seborrheic dermatitis. I prefer to call it dandruff. Is cat dandruff common? Why does cat dandruff happen? Yes, cat dandruff is common. It occurs most frequently exactly where you have described: on the back, closer to the tail than to the head. This cat dandruff may be accompanied by greasy hair. Most of the time, dandruff, even when severe, is not representative of a disease. However, some skin parasites (particularly one called Demodex) and fungal infections (such as ringworm) can lead to cat dandruff. So can glandular disorders such as hyperthyroidism, allergies to fleas or food, and even severe problems such as lymphoma. Some cats appear to respond to dermatological insults (such as exposure to chemical irritants) by producing dandruff. 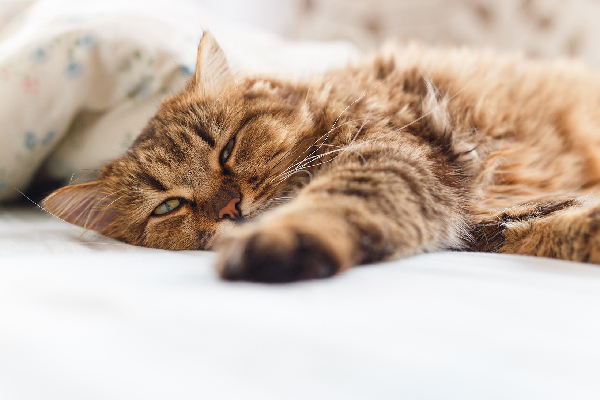 What should you do about cat dandruff? To be sure, you did the right thing by taking your cat to the vet. I hope that she did the appropriate tests to rule out those more serious problems. If she did, it is safe to say that your cat has a good, old-fashioned case of feline dandruff. That means two things. First, the problem will be hard to solve. Second, the problem isn’t a problem and it doesn’t need to be solved. Cat dandruff is, in my experience, hard to treat. Some vets have touted success with dietary supplements such as omega-3 fatty acids. Others recommend special shampoos or spot-on therapies (specifically, I have seen some vets recommend Douxo Spot On or Alloderm). A few owners have reported success after changing their cats’ diets. However, most people who have cats with dandruff end up frustrated. In my experience, the cat dandruff “problem” does not improve no matter what is done. I put “problem” in quotes for a reason. 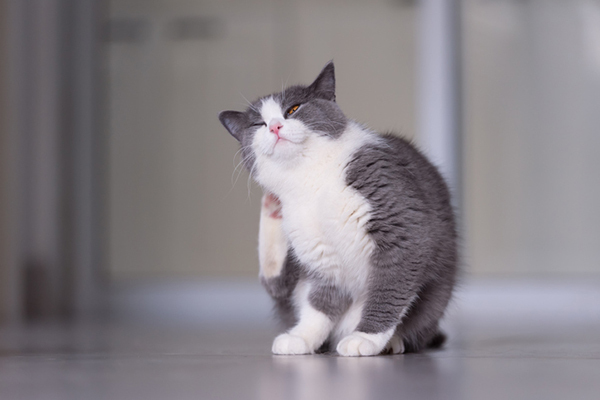 If your vet has ruled out serious skin disease, and your cat is not suffering from itching, hair loss or pain, then as far as your cat is concerned, there is no problem. Cats, unlike humans, don’t worry about first impressions. They don’t obsess in the mirror. 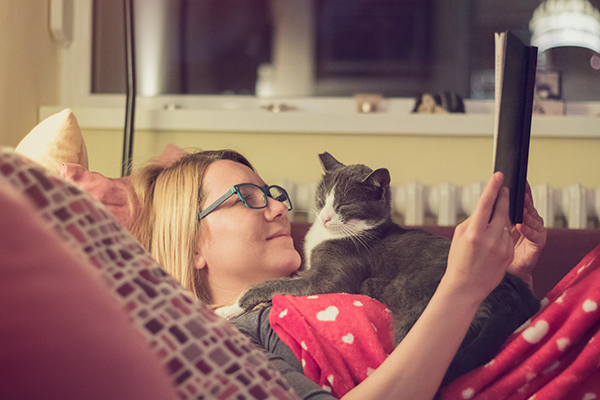 Since the dandruff isn’t bothering your cat, I recommend that you not let it bother you. Why risk gastrointestinal upset from a diet change, or an adverse reaction to a shampoo? The problem isn’t really a problem, so why not do nothing? Veterinary medicine has a fancy term for this as well: benign neglect. 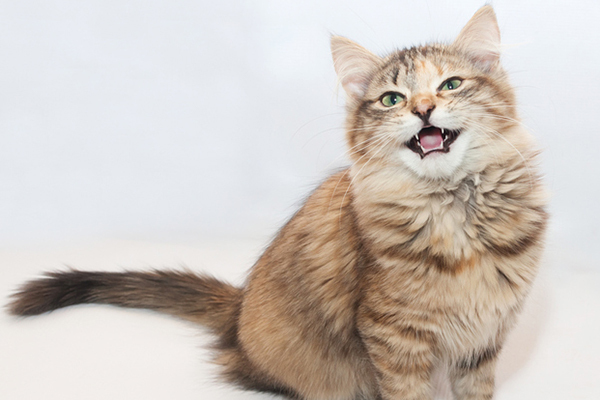 Tell us: Does your cat have dandruff? 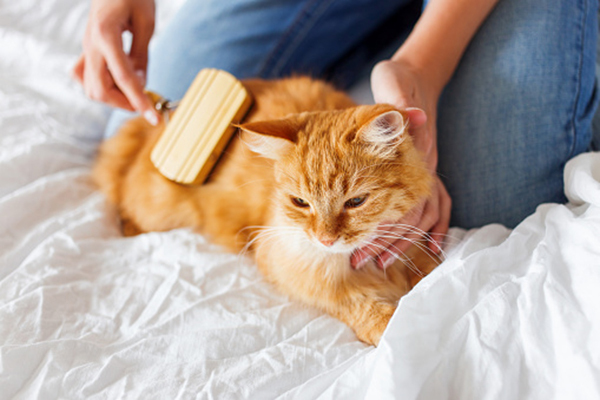 What are your best tips for handling cat dandruff? My cat died from coco milk beware giving advice like that. My 4yr old Calico-Tortie has always had dandruff about 2″ from her tail to the base of the tail, her son, now 2, who has much thicker & longer fur also has dandruff . It seems to be worse when they are shedding (post winter coats & post summer coats). They have a mainly dry diet, extremely glossy coats, are full of life & very happy cats. They get the odd treat of oily fish when I can afford it. But they have a mix of no grain kibbles, Royal Canin & Concept for Life. They also have bedtime treats of meaty chews & some “biscuit” kibbles which they love. I get most of their food from Zooplus as their prices tend to be cheaper. The Vet has seen their dandruff & is not considered to be “An issue” or “a problem” – I have a cloth (Microfibre) that after grooming I just wipe over their fur & it picks up the dandruff. Since they are incredibly healthy with coats you can almost see yourself in I don’t see the dandruff as an issue. I have been using an organic healing salve of olive oil, coconut oil, shey butter and propolis. My cats skin is healing! Large flakes of the dried yellow skin is peeling off. He seems so much happier, as I think it itched before. There seems to be many layers that need to shed off. Some spots are flake free and now are soft and resoved. It’s been two weeks of this treatment and looks like another two weeks might reslove it completly. Could you tell me please how much of each ingredient you are using and the method in which you apply it? Also, how often? That’s really good I’m happy for you! What is your cats diet? I want to know because two of our cats have dandruff on the backs of them and I’m sort of worried. ???? I give my cats raw coconut oil – they love it and will lick it off the spoon. This gives them double protection: hairballs and some additional oil that helps from the inside out.